The second workshop in our new kitchen workshop series is happening this Friday, June 1st! We ask for a greater financial contribution for these workshops because we see them as an opportunity for some members of the community to financially support our charity programs while developing their cooking skills in the Roulant kitchen! 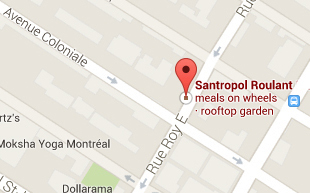 Join us for an evening of vegan cheesemaking at Santropol Roulant! 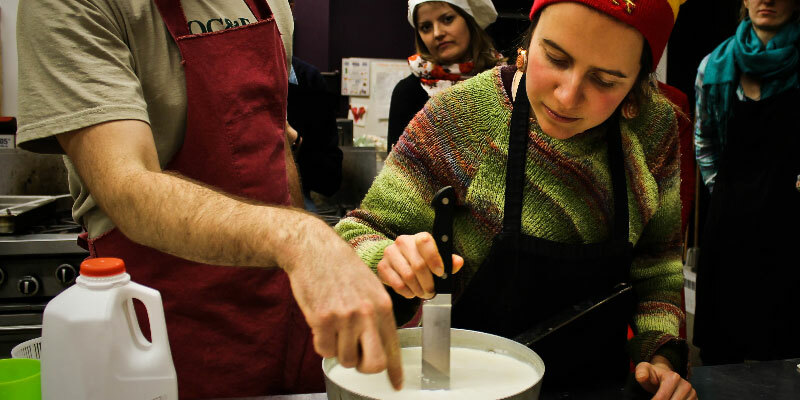 This is the perfect workshop to start learning the basics of homemade plant-based cheeses. In collaboration with Sheena Swirlz, we will explore the ingredients and techniques to prepare plant-based, gluten-free cheeses such as a tangy faux cheddar, cheesy sauces, and dips, nut cheeses, probiotic cultured fermented cheese and more! Participants will leave with their own cheeses to either eat fresh or ferment at home! Price: $60, this price includes a $30 donation, eligible for a tax receipt, to support the Roulant’s charitable work. To purchase your ticket, please visit Eventbrite or come by to see us at the Roulant. Tickets are non-refundable but can be transferred to another person. There are only a couple of spots left! Please note that the workshop will be primarily in English, but we can translate terms and recipes in French as needed! Contact Talia for more information!